The MCOF Public Star Party will be held on Friday December 7, at 7:00 pm, and December 28, at 7:00 pm at the Morgan County Observatory. There will be stargazing, refreshments, movies and hands on astronomy exhibits to entertain folks of all ages. The MCOF Public Star Party will be held on Friday November 2nd, at 7:30 pm, November 9th, at 8:00 pm and November 30th at 7:00 pm. at the Morgan County Observatory. There will be stargazing, refreshments, movies and hands on astronomy exhibits to entertain folks of all ages. Astronomy Class taught Tuesday nights from 6:30 to 8:30PM fron Oct 16 to Nov 13. Click here for info. The MCOF Public Star Party will be held on Friday October 5 and 12, 2007 at 7:30 pm. at the Morgan County Observatory. Open House on Saturday October 6, 2007 at 7:30 pm. There will be stargazing, refreshments, movies and hands on astronomy exhibits to entertain folks of all ages. The MCOF Public Star Party will be held on Friday September 7 and 14, 2007 at 8:30 pm. at the Morgan County Observatory. Open House on Saturday September 22, 2007 at 8:30 pm. There will be stargazing, refreshments, movies and hands on astronomy exhibits to entertain folks of all ages. Member's Viewing Night will also be September 7, 2007 at 8:30 pm. Prospective members are invited to attend. The MCOF Public Star Party will be held on Friday August 3 and 10, 2007 at 8:30 pm. at the Morgan County Observatory. Open House on Saturday August 4, 2007 at 8:30 pm. There will be stargazing, refreshments, movies and hands on astronomy exhibits to entertain folks of all ages. Member's Viewing Night will also be August 3, 2007 at 8:30 pm. Prospective members are invited to attend. The MCOF Public Star Party will be held on Friday July 13, 2007 at 8:30 pm. at the Morgan County Observatory. There will be stargazing, refreshments, movies and hands on astronomy exhibits to entertain folks of all ages. Member's Viewing Night will be July 6, 2007 at 8:30 pm. Prospective members are invited to attend. The MCOF Public Star Party will be held on Friday June 15, 2007 at 8:30 pm. at the Morgan County Observatory. There will be stargazing, refreshments, movies and hands on astronomy exhibits to entertain folks of all ages. Member's Viewing Night will be June 8, 2007 at 8:30 pm. Prospective members are invited to attend. Public Star Party at Observatory Friday May 18, 2007 at 8:30 pm. 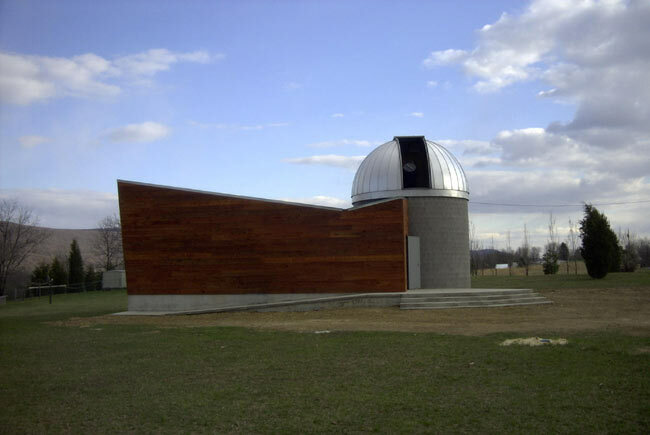 MCOF will hold a Public Star Party Friday evening May 18, 2007 at 8:30 pm, on the observatory grounds at Greenwood Elementary School. Everyone is invited to come out and view the wonders of the night sky through the many wonderful telescopes available with the experts from the Foundation to guide you. If you have a telescope or binoculars, you may bring it and get help on using it to view the heavens. Refreshments will be served. Come out and see the final construction progress on the Morgan County Observatory and get a peek through the powerful 16" Cassegrain telescope housed there. Admission is free to all and donations are encouraged. Informative exhibits, NASA/JPL movies, contests for kids and hands on astronomy activities will be present. Member benefits include: quarterly newsletter, yearly calendar, voting rights at MCOF general meeting, admission to 'Members Only' events and notification of all events. All donations of $50 or more will be memorialized on Founding Members' plaques to be displayed inside the Observatory. The next 'Members Only' night will be held Friday May 11, 2007 at 8:30 pm at the observatory. If you are not a member, you may obtain membership there for $20/individual or $35/family. Come out and enjoy the dark skies of Morgan County while learning more about Astronomy and the Stars. To get to Greenwood from Berkeley Springs, follow Rt 522 South 2 miles and take a left on Winchester Grade Rd (Rt 13), then travel 9 miles and park in the Observatory parking lot on the left. For information 304-258-1013, http://www.nitesky.org, or dynsol@crosslink.net. The MCOF Public Star Party will be held on Friday April 20, 2007 at 8:00 pm. at the Morgan County Observatory. There will be stargazing, refreshments, movies and hands on astronomy exhibits to entertain folks of all ages. Member's Viewing Night will be April 13, 2007 at 8:00 pm. Prospective members are invited to attend. 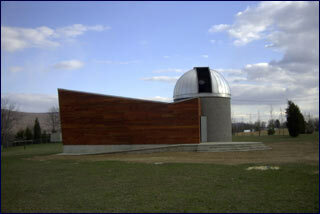 The MCOF Public Star Party will be held on Friday March 16, 2007 at 8:00 pm. at the Morgan County Observatory. There will be stargazing, refreshments, movies and hands on astronomy exhibits to entertain folks of all ages. Member's Viewing Night will be March 9, 2007 at 7:30 pm. Prospective members are invited to attend. Public Star Party at Observatory Friday February 16, 2007 at 7:30 pm. MCOF will hold a public Star Party Friday evening February 16, 2007 at 7:30 PM, on the observatory grounds at Greenwood Elementary School. Everyone is invited to come out and view the wonders of the night sky through the many wonderful telescopes available with the experts from the Foundation to guide you. If you have a telescope or binoculars, you may bring it and get help on using it to view the heavens. Refreshments will be served. The next 'Members Only' night will be held Friday February 9, 2007 at 7:30 PM at the observatory. If you are not a member, you may obtain membership there for $20/individual or $35/family. Public Star Party at Observatory Friday January 19, 2007 at 7:30 pm. MCOF will hold a public Star Party Friday evening January 19, 2007 at 7:30 PM, on the observatory grounds at Greenwood Elementary School. Everyone is invited to come out and view the wonders of the night sky through the many wonderful telescopes available with the experts from the Foundation to guide you. If you have a telescope or binoculars, you may bring it and get help on using it to view the heavens. Refreshments will be served. Member benefits include: quarterly newsletter, yearly calendar, voting rights at MCOF general meeting, admission to 'Members Only' events and notification of all events. All donations of $50 or more will be memorialized on Founding Members' plaques to be displayed inside the Observatory. The next 'Members Only' night will be held Friday January 12, 2007 at 7:30 PM at the observatory. If you are not a member, you may obtain membership there for $20/individual or $35/family.